Dentists have long been a source of fear for many – young and old ‒ but with today’s technology, there is no reason to dread these visits. Sabine Warren shares some tips to create a positive mind-set for your toddler from the start. Your little one’s teeth have started to erupt. Now what? When do you take him to the dentist for the very first time, and how can you make it a pleasant experience, with the least amount of stress incurred for either of you? Schedule your toddler’s first dental appointment when he is one year old or approximately six months after the first tooth has erupted. Allow this first visit to be an informative one for the parent as well as the toddler, encouraging the beginning of a comfortable, relaxed, trusting relationship. Johannesburg dentist, Dr Joel Chernick, explains: “Oral hygiene and healthy eating habits will be reinforced. 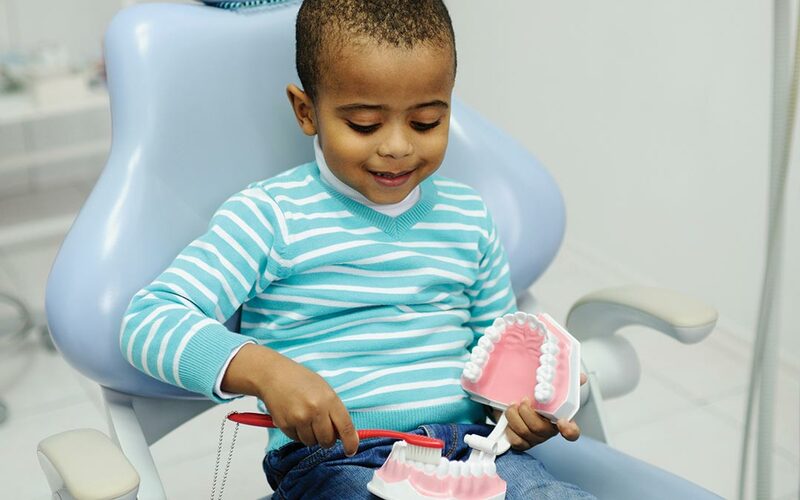 Let your toddler be introduced to all the dental tools in an interactive way, and a few ‘fun rides’ in the dental chair will add some excitement and distraction. The teeth can be counted and checked by the dentist in an informal manner, and if he is co-operative, his teeth could even be polished and fluoridated. If, however, he is not relaxed with this, he should not be forced into any procedure. doing anything that would make them feel uncomfortable,” stresses Dr Chernick. A busy, colourful picture on the ceiling above the dentist’s chair can also act as a distraction. Once the visit is complete, offer him a little reward and compliment him on his good behaviour, and the goodbyes may include, “Looking forward to seeing you in six months’ time!” Bi-annual visits are definitely recommended. The bottom line is, the healthier the teeth, the fewer invasive procedures will need to be done, and the less stress endured. 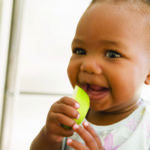 So from the outset, healthy eating habits can go a long way to keeping teeth in good condition. A balanced diet of fresh fruit and vegetables, milk and cheese, and proteins such as meat, chicken and eggs, all encourage healthy teeth, gums and bone structures. Cut out sugars, sticky carbohydrates, and acidic drinks. Stop sucking habits as soon as possible, especially the thumb, as it is more difficult to halt thumb sucking. Rather use a dummy as they are easier to get rid of. Sucking habits alter both teeth and bone growth negatively. Choose to use a soft-bristled children’s toothbrush and teach your child how to brush. 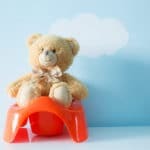 An electric toothbrush is a good idea as they clean far more efficiently, and in this electronic age, the toddler might well perceive it as a toy. Use no more than a pea-sized amount of a children’s toothpaste. This will give adequate fluoridation to the teeth and any ingestion of this small amount will prevent any threat of fluorosis to the toddler. Try to ensure that your toddler does not swallow the toothpaste regularly, but rather spits it out. Brush teeth after breakfast and before bedtime. Brushing should begin as soon as the teeth erupt. Reduce sugary and sticky carbohydrate snacks, which tend to stick to the teeth and are more difficult to remove. Never fill the toddler’s bottle with sugary or acidic drinks, especially at night, as prolonged contact with these on tooth enamel will cause erosion of dental enamel, and dental caries – tooth decay – will result. The use of these substances on a dummy will have the same detrimental effects on tooth enamel. So, although technology has made a visit to the dentist a more user-friendly experience, the day-to-day caring for, and cleaning, teeth is up to the individual! Bear in mind, those pearly whites need to last a lifetime.